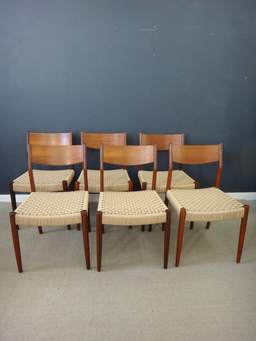 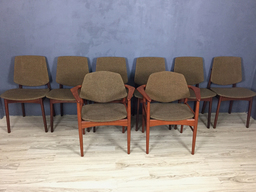 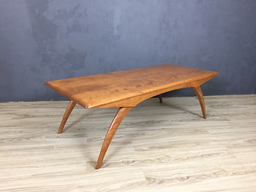 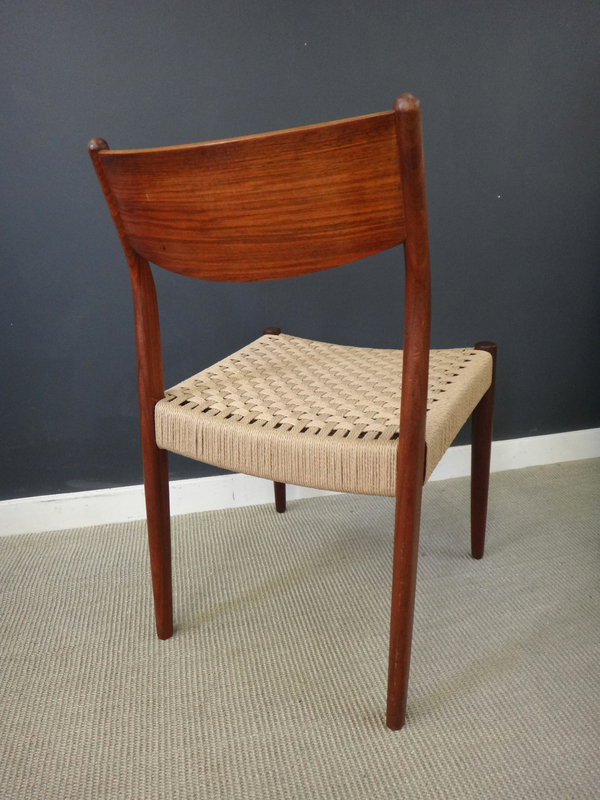 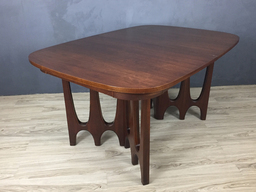 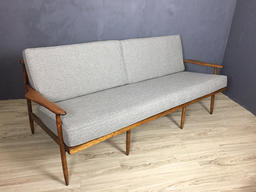 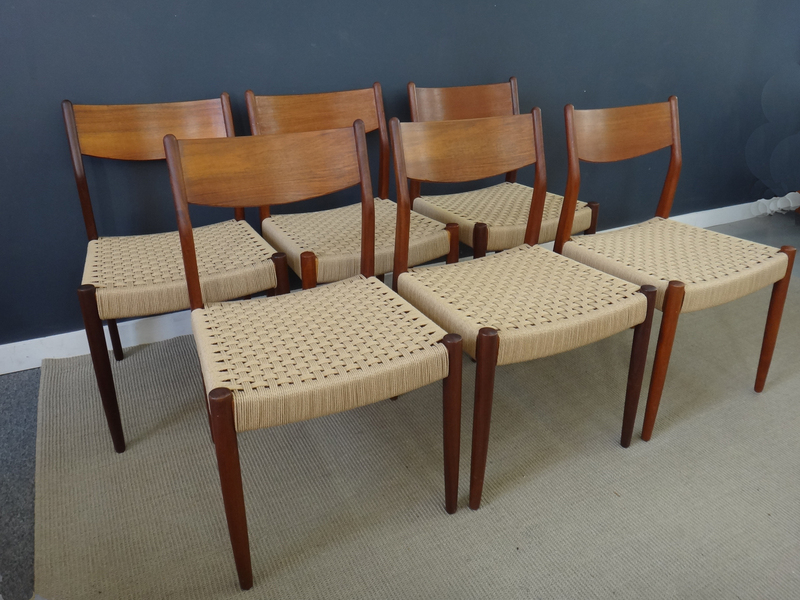 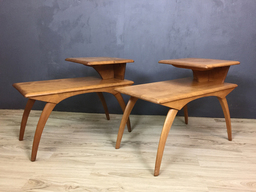 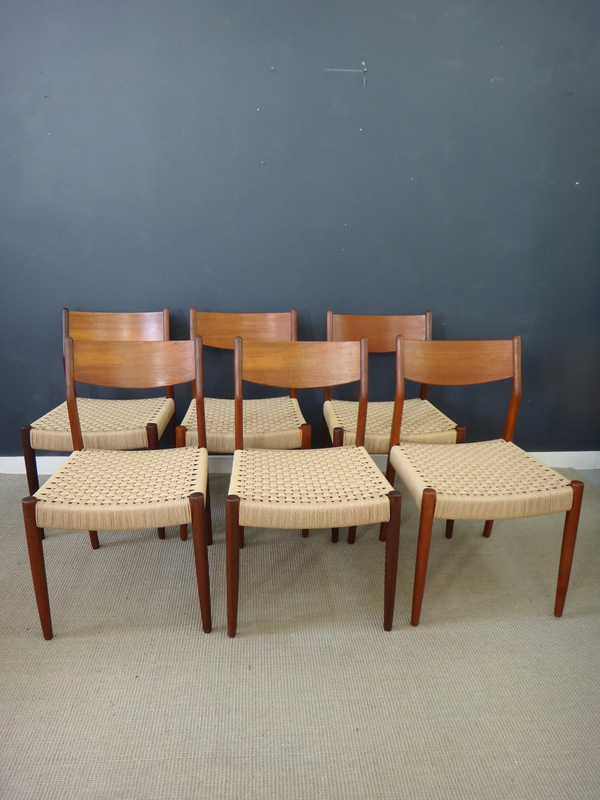 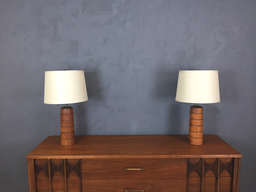 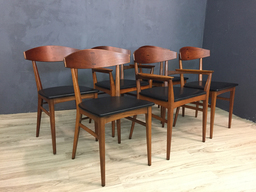 This beautiful set of mid century Danish modern teak dining chairs with cord seats are highly reminiscent of Moller chairs. 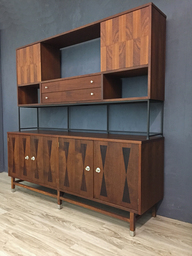 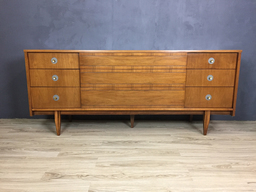 Solid teak frames have elegantly curved backs to support your frame. 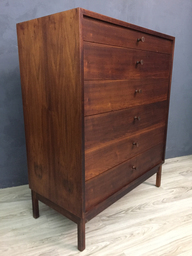 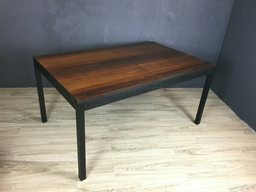 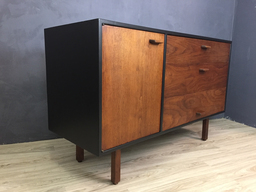 We have re-oiled the wood with Danish oil to refresh the finish and enhance the richness of the aged teak. 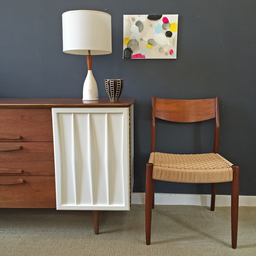 We love these chairs even though replacing Danish cord is hugely labor intensive and physically demanding. 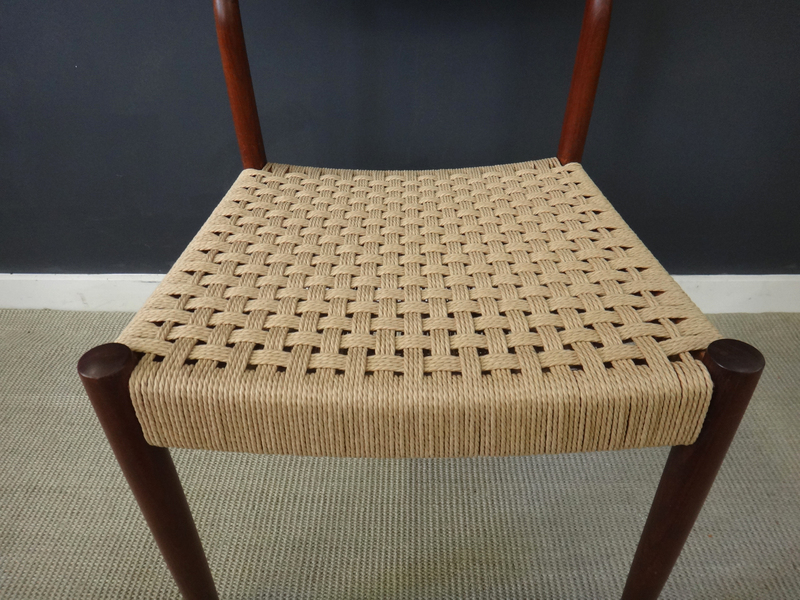 All the seats have been re-woven with new cord.